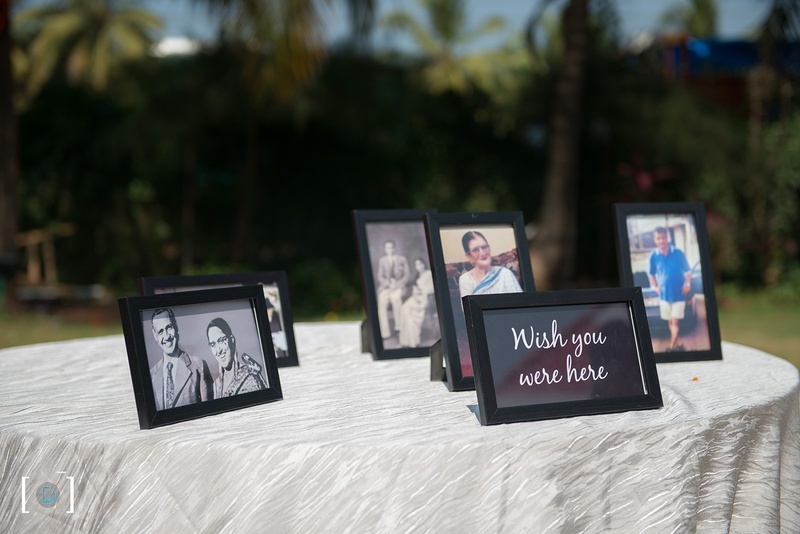 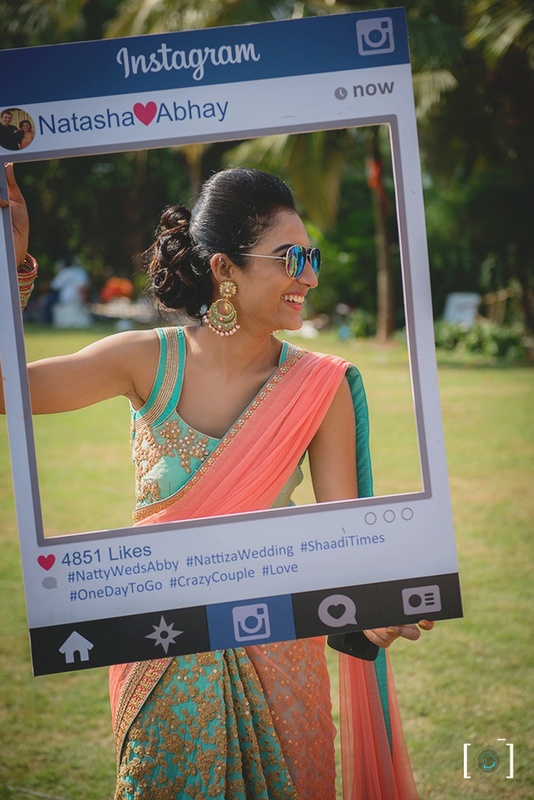 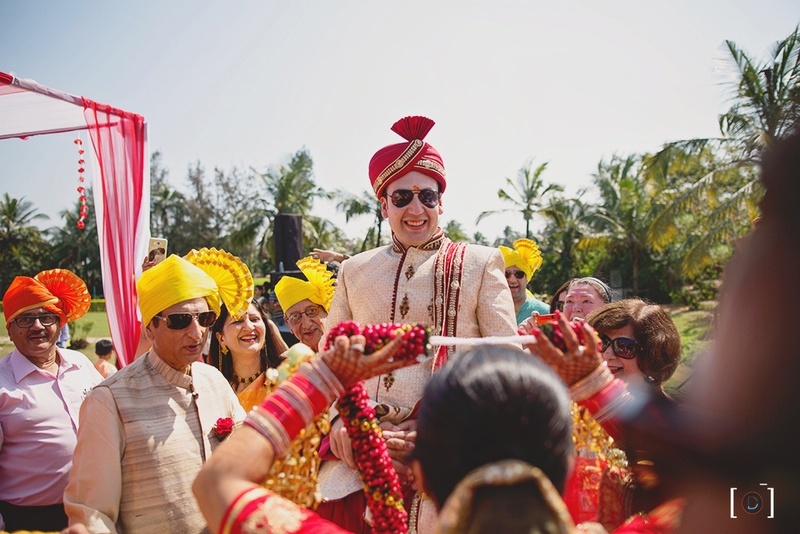 Met at Brandeis University and ended at Royal Orchids Resort, Goa. 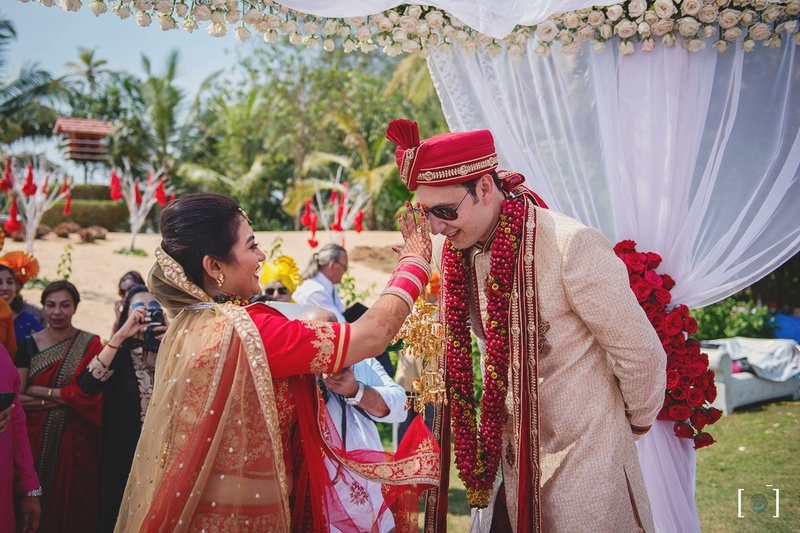 Over the course of four years, their friendship blossomed into a loving relationship which turned into marriage. 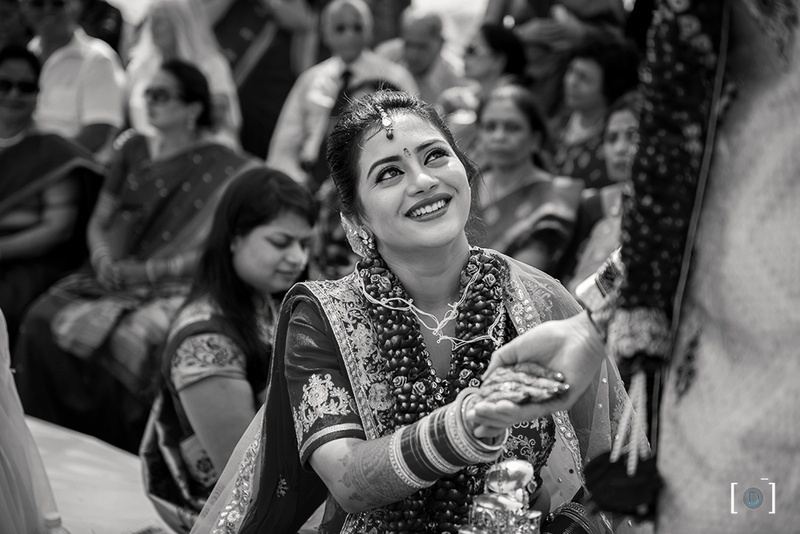 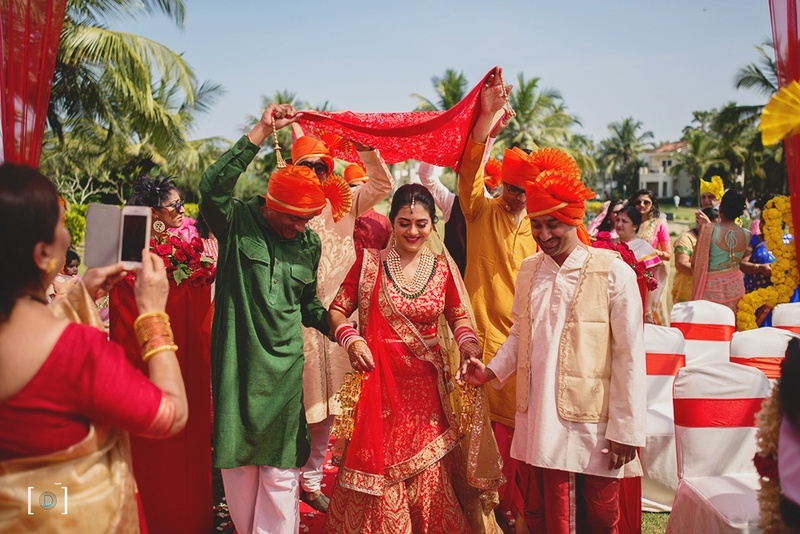 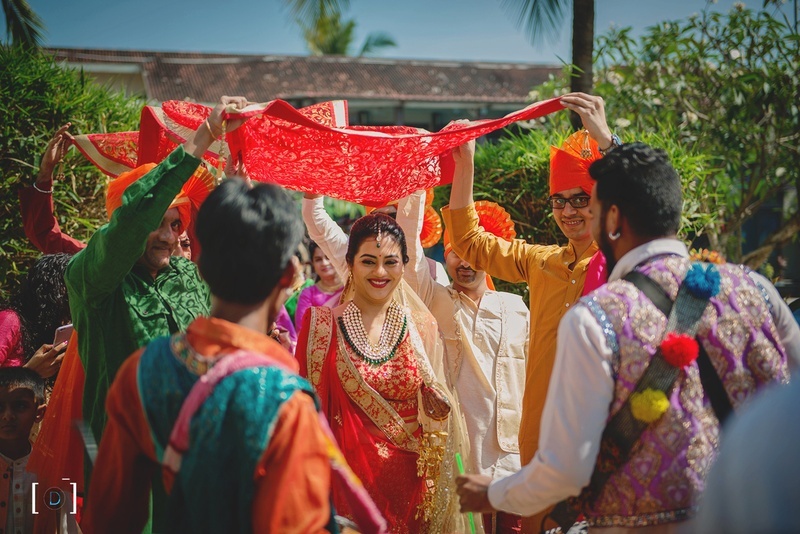 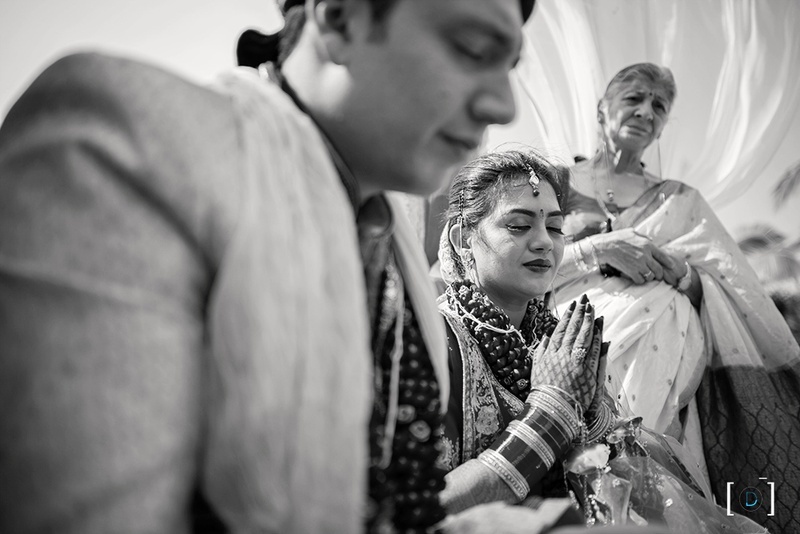 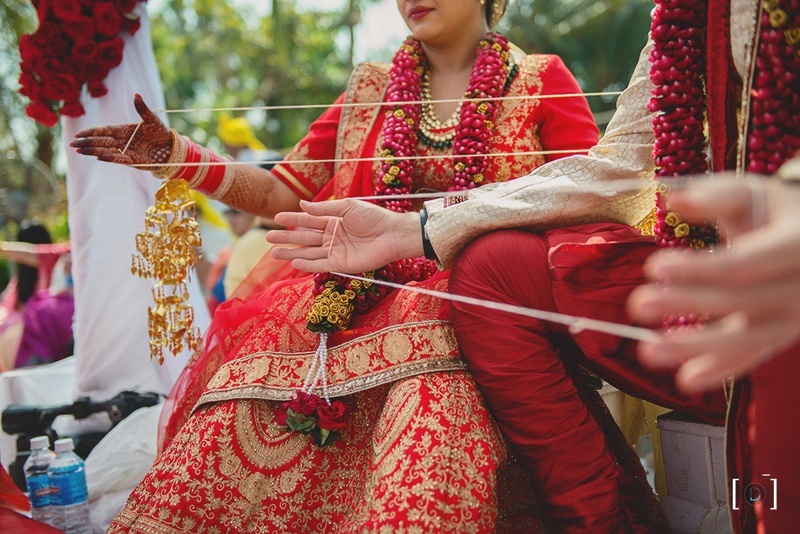 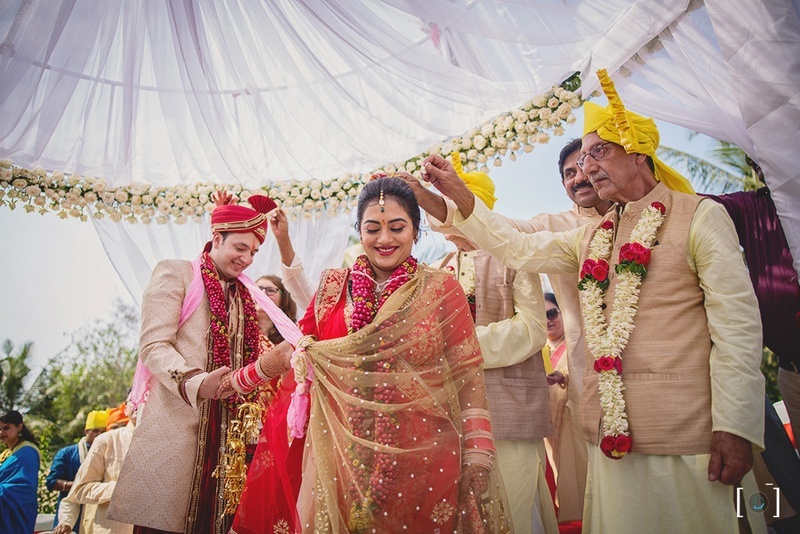 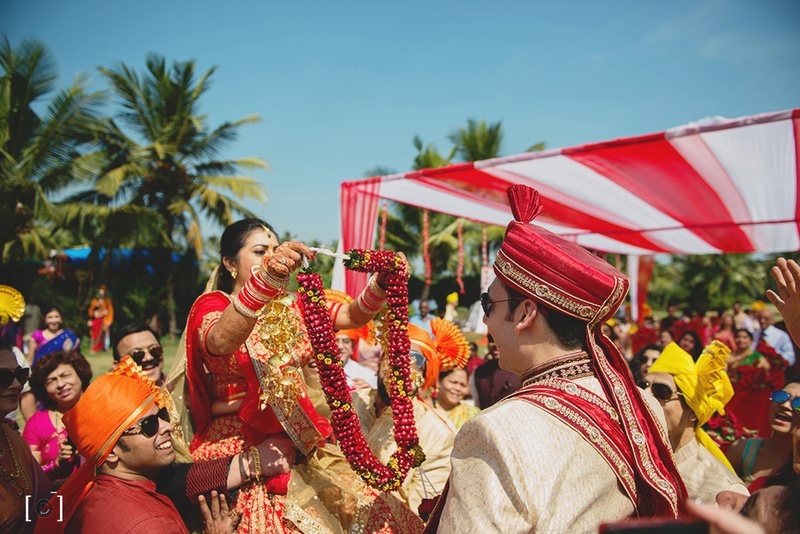 As life threw challanges at them, they stood their ground and their bond grew and on the 26th of November, 2016, they tied the knot in a beautiful outdoor Goa wedding with the ocean by their side. 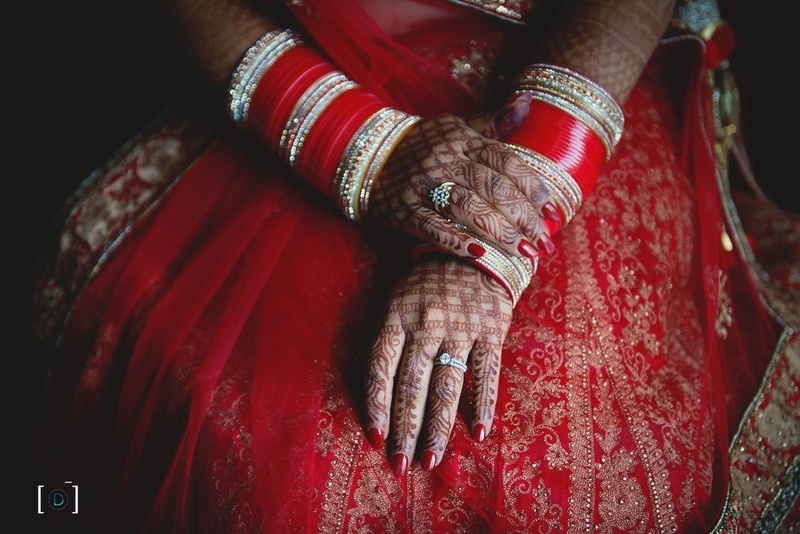 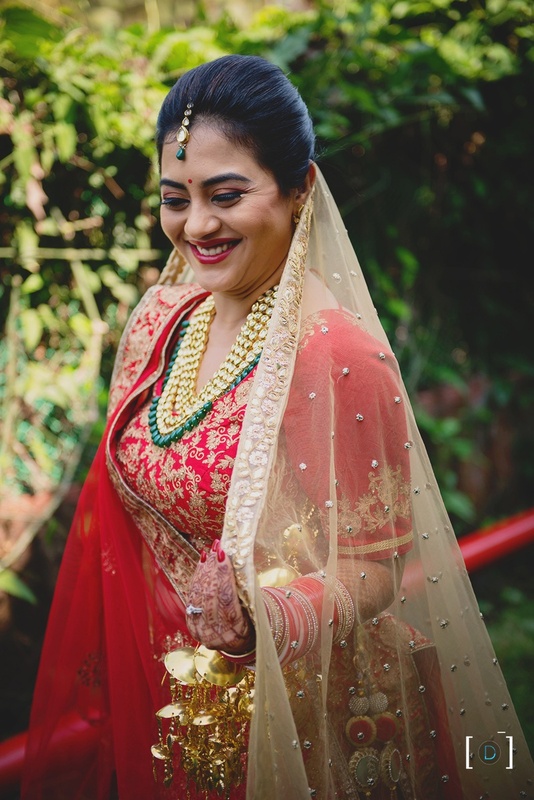 Photography by Dhanika Choksi, make up by Rakhee, Bridal Lehenga by Meena Bazaa and Sherwani by Manyavar. 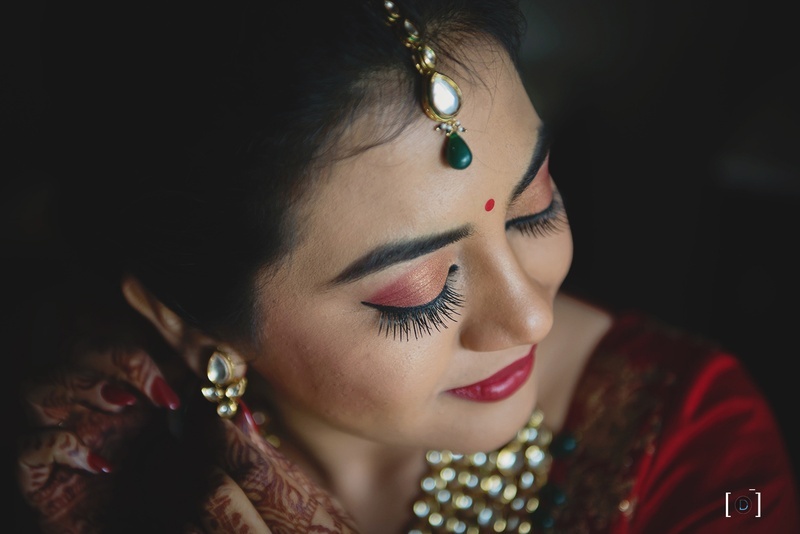 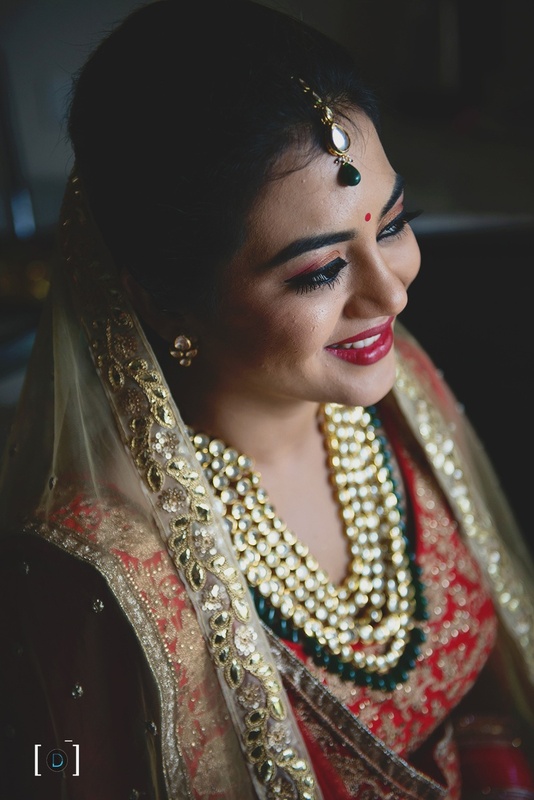 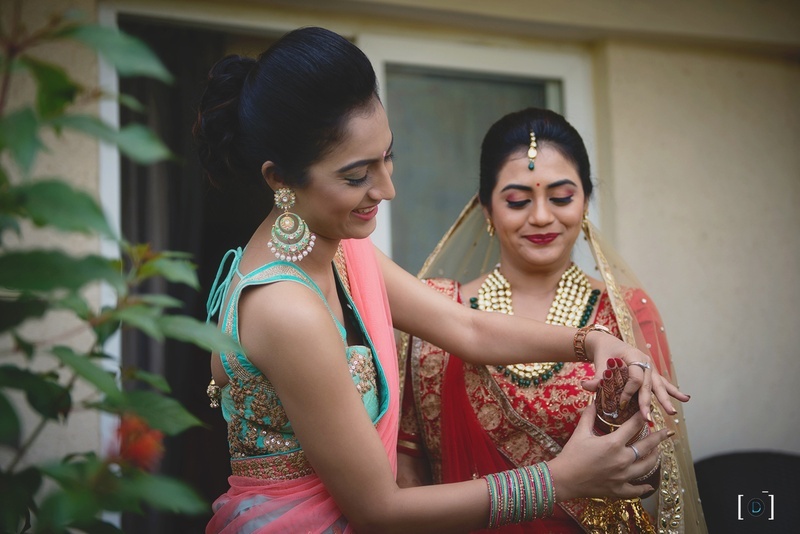 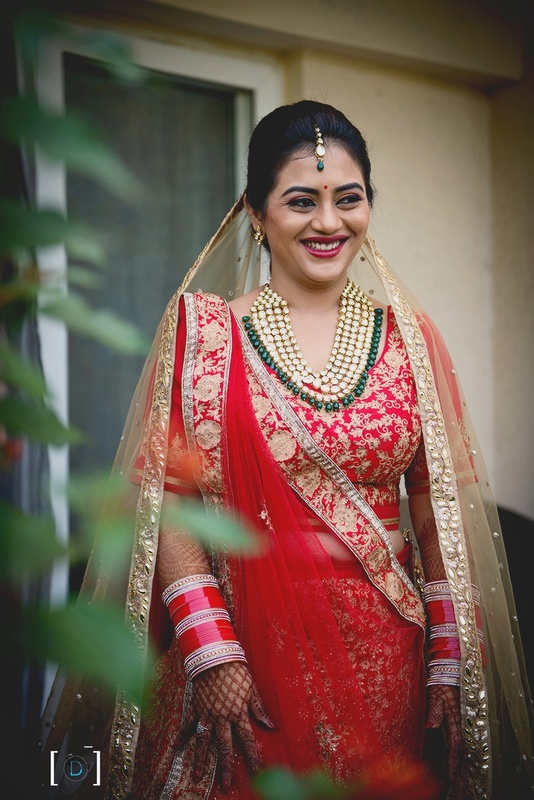 The bride done up in her makeup and jewellery, looking like royalty ! 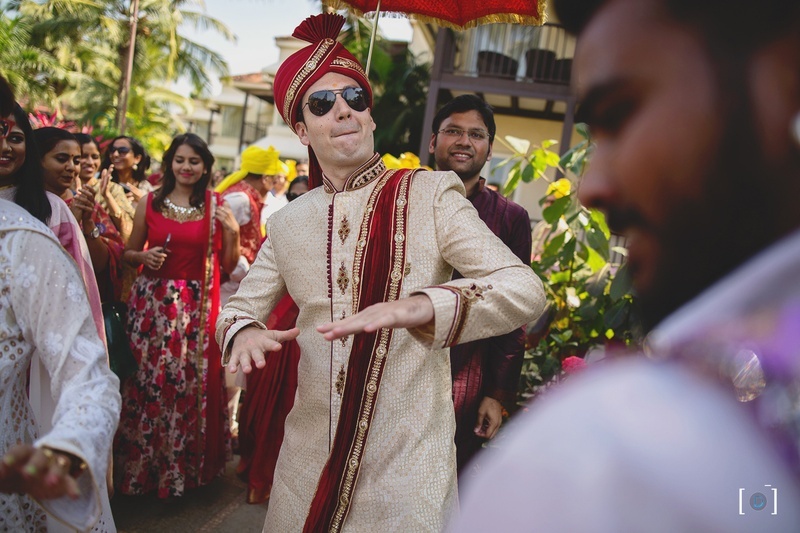 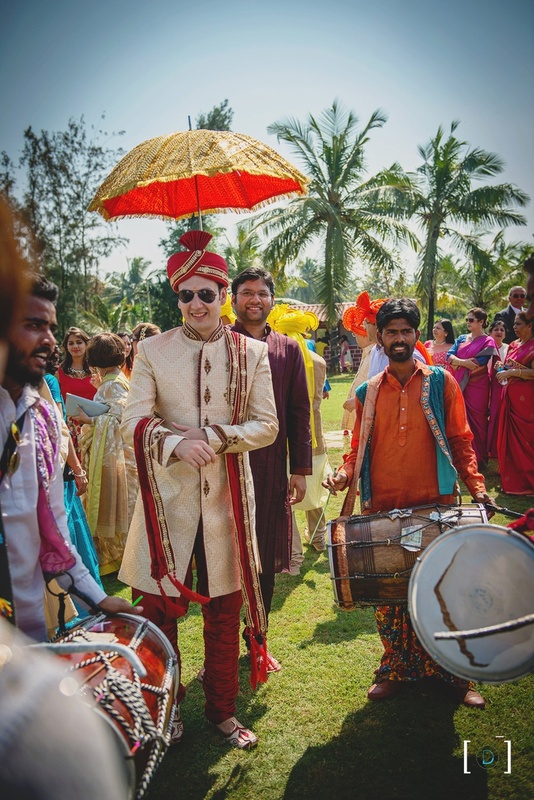 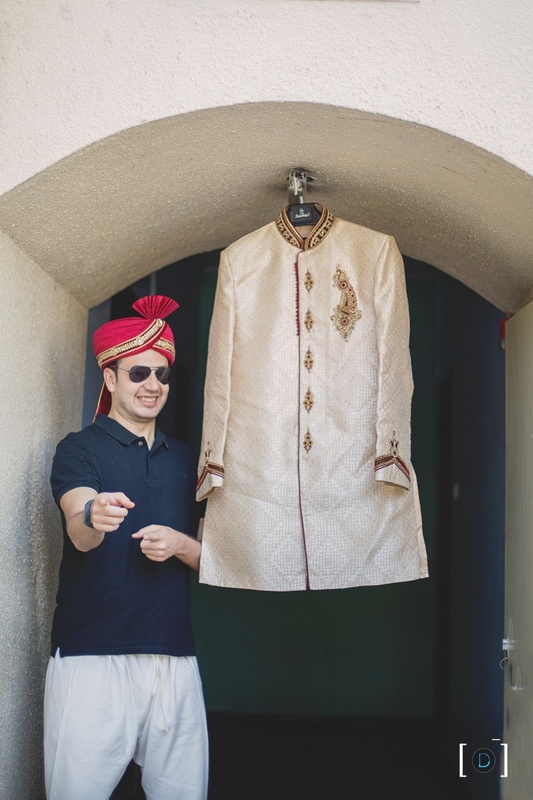 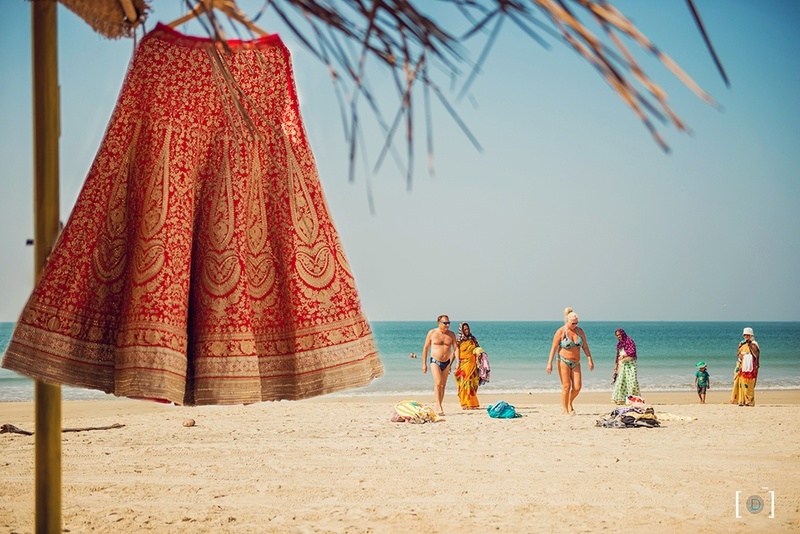 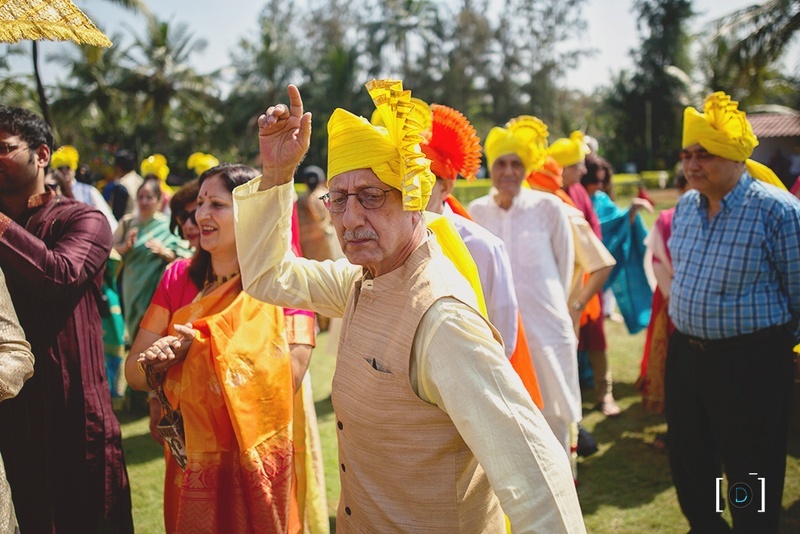 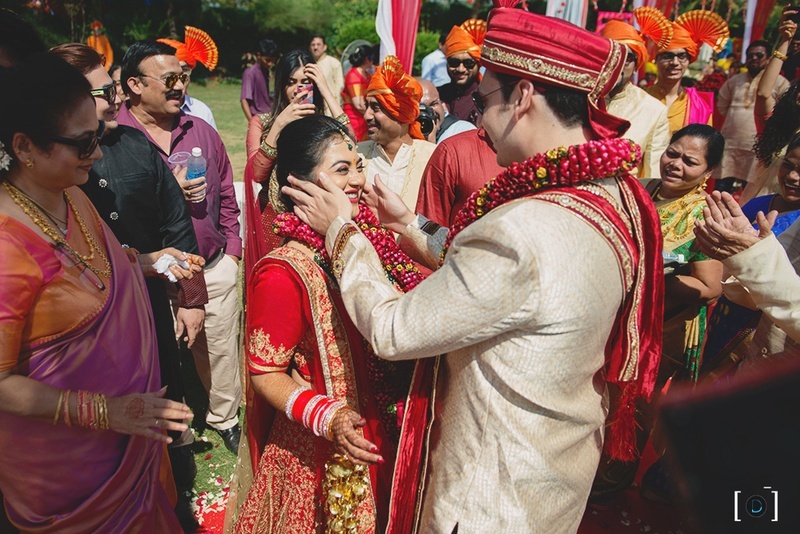 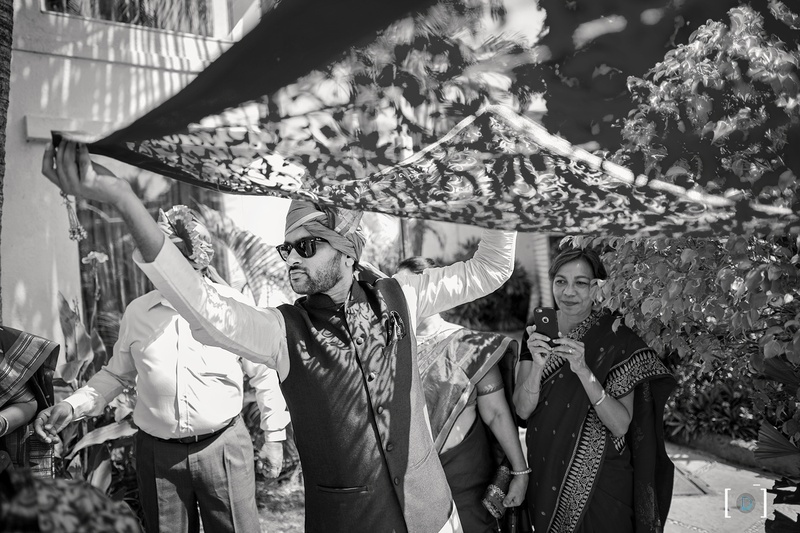 The groom looks ecstatic while getting dressed at Royal Orchid Beach Resorts ! 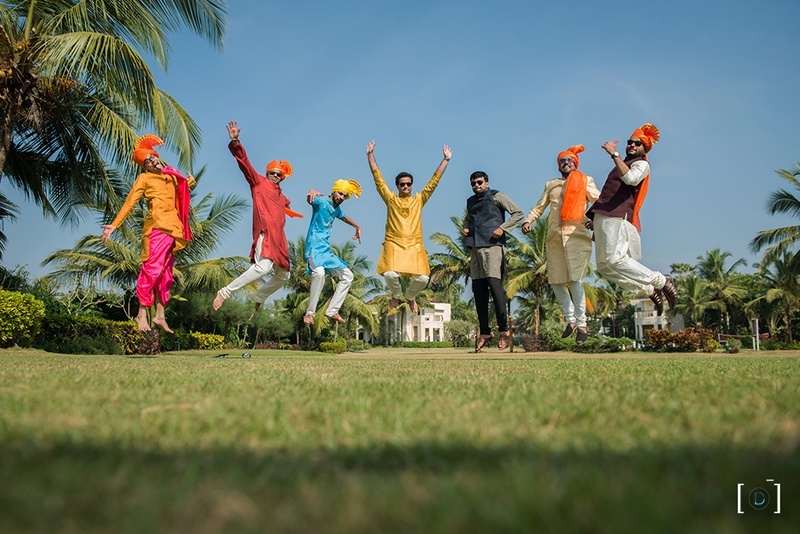 Photoshoot with the groom and his mains ! 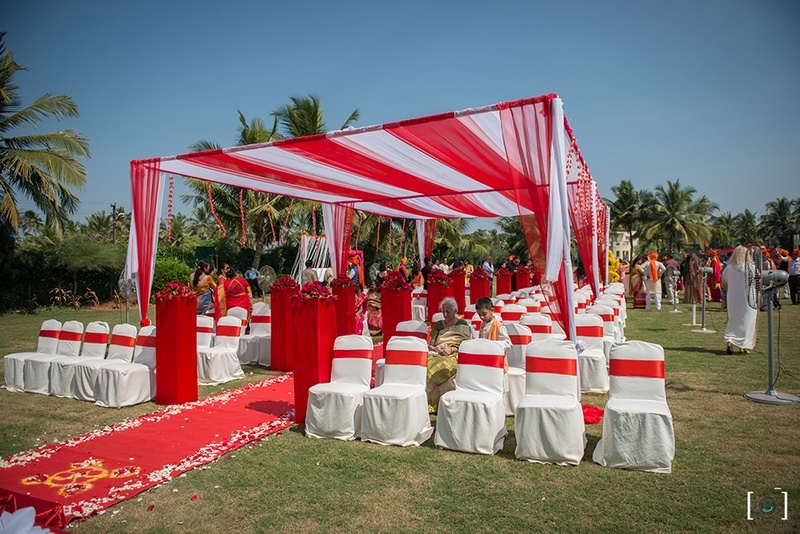 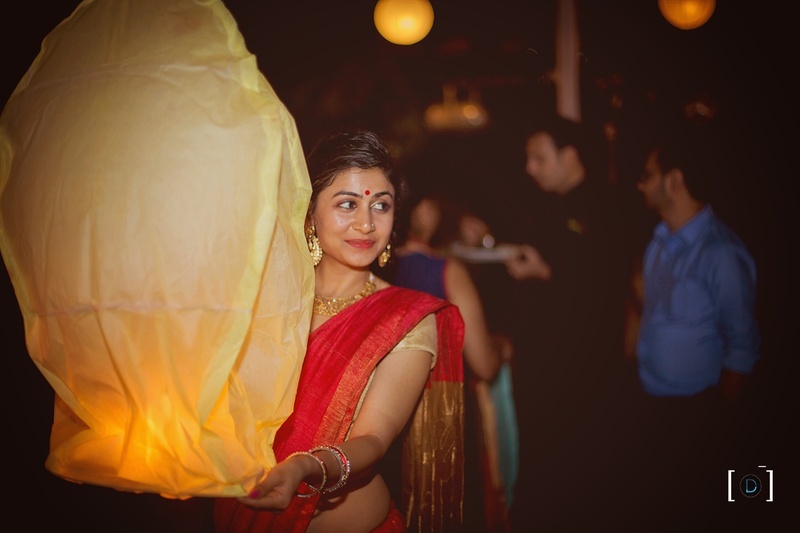 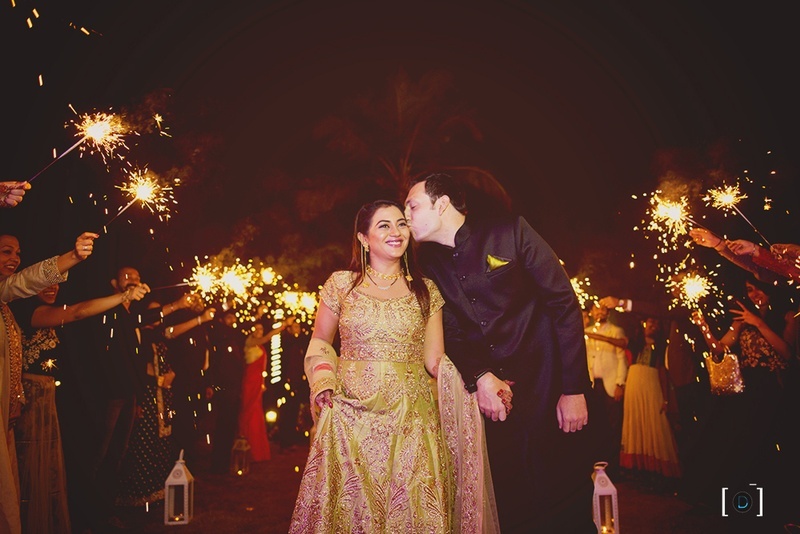 Grand Reception amidst sparklers for a fairytale feel ! 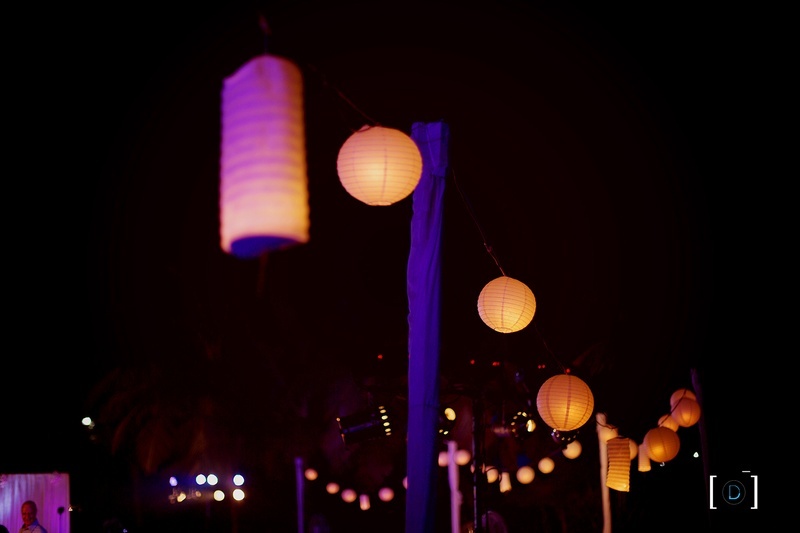 Wedding lanterns make the whole atmosphere magical !